Pavilion Marina & Sports Club Jumeirah Beach Hotel is another famous venue of Dubai, endowing visitors with the facility of water based sports. Usually families come here to enjoy some leisure time with their little ones by keeping their busy life on a side and getting indulged in the exciting activities. Several activities are offered here, which some times make it difficult for people to choose the best one. This family oriented place is an ideal location during holidays, especially. You will surely acquire a luxurious experience at this ultimate family destination. If you are looking for detail information on this exotic venue then the guide arranged below will help you in every possible manner. Although the venue is famous for various water sports facility, but along with the awe-inspiring activities you can have fun by getting yourself involved in a tennis game. For kids the Sinbad’s Kid Club will keep them enthusiastic. Four pools are built within the venue for those who wish to lounge by the water. The water sports offered by the Pavilion Marina & Sports Club Jumeirah Beach Hotel are banana boat rides, water skiing and kayaks. Besides that wind surfing activity and yachts are also present. 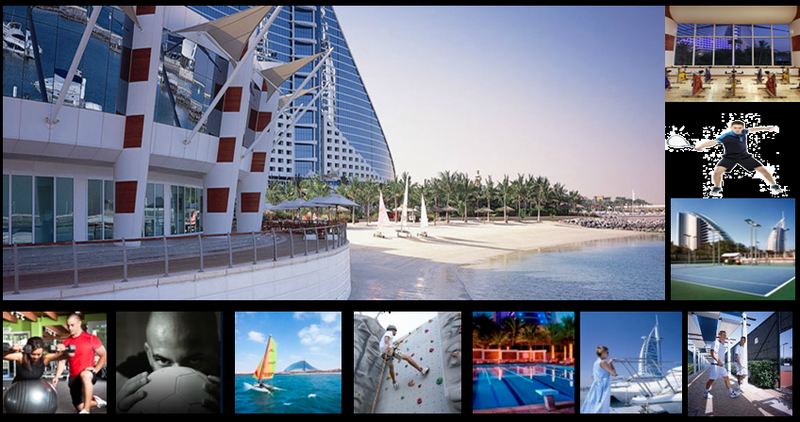 The Pavilion Marina & Sports Club Jumeirah Beach Hotel remains open seven days a week from 7:00 am till 10:00 pm. The management of Pavilion Marina & Sports Club Jumeirah Beach Hotel can be reached on the number stated below; make sure you make a call during operational hours. 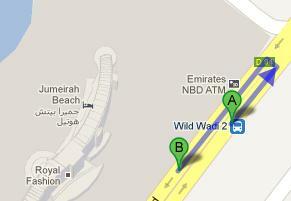 Wild Wadi 2 bus stop is 250 meters away from the Pavilion Marina & Sports Club Jumeirah Beach Hotel; by walk it will take 3 minutes to cover the required distance. The routes that make a stop Wild Wadi 2 bus stop are 8 from Gold Souq Bus Station 2A, 88 from Airport Terminal 1 and X28 from Lulu Village 1. From the stop you will have to head in the northeast direction towards the Jumeriah Rd/D 94. After covering 79 meters distance take a U-turn and cover further 170 meters in order to reach at your destination. From a detail view Click Here!